I’m Jill Chivers and I understand what it’s like to ‘shop til you drop’ and yet still feel it was never enough. I know how heavy that feeling is. And I’m here to tell you it is possible to lay that burden down, to stop the constant shopping, and to reclaim your life. Late 2009, I had one of those corner-turning, light bulb illuminating, AhA moments. You know those moments. This was a moment I had been avoiding for months, but this time, I looked it squarely in the eyes and came to the hard, cold realisation that I was spending far too much on clothes (and shoes, and bags, and belts, and earrings, and all other adornments for the body). I acknowledged that I did not have a handle on my spending. I didn’t know why I spent like I did, and I was starting to feel bad about the new things I was buying. On December 15, 2009, I started a 12 month challenge to shop my wardrobe and not clothes shop for one year – yep, 12 llooonnnggg months. It seemed a bit extreme, but its extremeness was one of the reasons I wanted to do it. Any less than 12 months and I would have just scratched the surface. You can’t hide for 12 months. I’m glad I took the entire year for this challenge, as it gave me the space to explore the many facets of shopping, consumption, style, identity, expression… and so many other related topics. My year without clothes shopping changed me. Shopping is not “just shopping”. Shopping hits emotional buttons. It’s not only about the hunt, it’s about the thrill of the kill, the high of the buy. Consumption has reached new heights (or lows, depending on how you look at it). Shopping has become our hobby, our escape, our chance to rack up unparralleled credit card debt. Over the course of my own 12 month challenge (from December 15 2009 to December 15 2010), I wrote about many topics that oscillate around the general theme of shopping. These include shopping centres, the kinds of shoppers you find in them, haute coutre fashion shows, what makes for a working wardrobe, the unconscious consumer, how airport security has changed us, skinny jeans, poor customer service, the placement of stores as exits at theme parks, The Princess Bride (yep, I mean the movie), the meaning of clothing, not quite new shopping…. and many more. You can check out My Story. On the blog there are many and varied articles on topics such as shopping, consumption and materialism, personal style, communication, self and body image, self care and self awareness, living your life, shopping messages, shopping your wardrobe, shopping strategies, attitudes and habits, fashion and emotions. Free Articles. If you are interested in how shopping and style intersect, where true and authentic personal style comes from, how our consumption is influenced by the shopping messages we are on the constant receiving end of, ways you can shop your own wardrobe, how to be kinder to yourself, ideas on living a rich and wonderful life, and many more topics – then I offer a range of quality articles for you to read, reflect on and be inspired by. Free report + email series The 12 Secrets to Less Shopping – More Style. If you’d care to sign up to receive my free report on the 12 secrets to less shopping and more style, then you’ll receive this wonderful free report, and a series of emails that go a little deeper into those 12 secrets. When you sign up, you also receive my monthly newsletters. Free 30-Day Shop Your Wardrobe Challenge. I’ve created a 30-day challenge for you, to make it fun, easy and inspirational for you to play more in your closet and use more of what you have. This is completely free, you don’t even have to give us your email address to get it. Free Report on 36 Ways to Cull Your Closet. Another free resource for you! This one gives you 36 criteria you can use to assess, sort and make decisions about the items in your closet. Too often, the only criteria we use is the ‘have you worn it in the last 6 months/12 months?’ criteria, and there are many others factors to consider when deciding on the fate on the items in your wardrobe. Free Report on Packing like a Pro. Yep, more free stuff! I’ve done my fair share of travelling over the years. Short trips, long ones. Work trips, just for fun. I’ve made a lot of packing mistakes and learned a trick or two. I share the best of what makes packing perfect for your next trip in this short, jam-packed go-to report. 6 Week Mini Conscious Clothes Shopping Course. 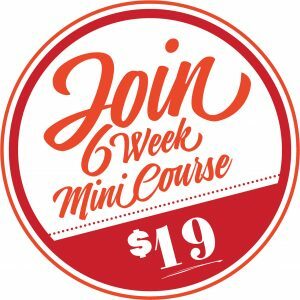 This is a paid program, extraordinary value at only $19, that helps get you started and moving further along on your journey to conscious clothes shopping. 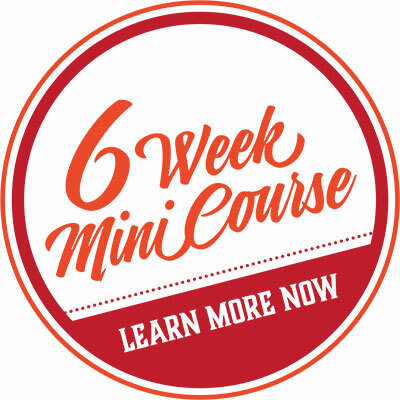 With 2 emails per week, core concepts and insightful activities, this mini course is at a pace and length that most people can manage. My Year Without Clothes Shopping – Premium Program. This is our marquee program – the big kahuna. 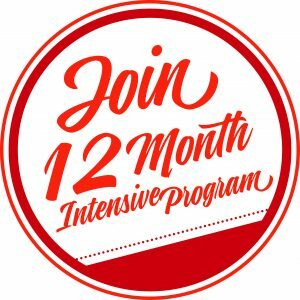 This program runs over 12 months, with 12 themes – one per month. It is thorough and intensive, and covers key concepts of emotions, clothing, money, style, organising and shopping consciously. 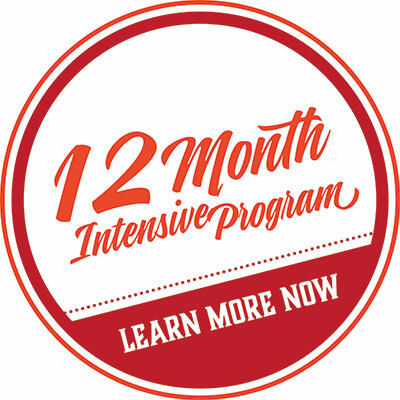 Priced at a level that almost anyone can afford, this program was designed and developed by me and co-written by our phenomenal faculty whom you’ll be learning from throughout the year if you decide to join me on this extraordinary journey. anything else that you think I’d be a great fit with what you’re doing – I’m open to hearing from you! What qualifies me to help? Firstly – I’ve done it myself. This isn’t theory, it was my reality. There’s a reason why all those a-holics organisations are staffed by reformed, recovering a-holics – it’s because they know. They’ve been there. They’ve done it. They are talking from experience – they know how to give the tough love, the gentle nudge, the practical helping hand. Likewise, I know what it’s like to spend too much, I know what it’s like to feel like your spending habit might be spinning out of control, I know what it’s like to feel confused about this compulsion to buy, and I know what it’s like when others politely smile into their handkerchief (literally or metaphorically) when you screw up your courage to mention how much you really get into shopping and how it might, just maybe possibly, be something that’s becoming a problem. The good news is: I’ve turned that corner. I’ve made the change. I’m not perfect, I don’t strive for perfection and I don’t believe it’s possible or desirable. But I’ve been there. And I can help you get there, too. 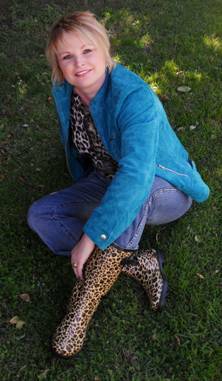 Secondly – I’ve spent years designing and delivering adult learning programs in my previous life as a professional corporate trainer, facilitator and coach. to read about my background and qualifications (and a few other personal details you might find interesting about me). You need a well thought-through path, and a proven set of content. You need experts in their field (check out our faculty – what a phenomenal group of people!). You need a range of inspiration and practical ideas so you get to pick and choose what works for you. You need it all packaged up so it’s easy to read and digest, and even easier to apply. You need it clearly laid out and in plain English. And that’s what I’ve created for you in the programs I’ve created. There’s a lot of things I’m no expert on, but I do know how to put together a supportive and stimulating program like this. I’m your gal, and this is your program! I had the great pleasure of being interviewed by Dr April Lane Benson, one of our amazing faculty and also a thought leader and author in the field of compulsive overshopping, in a teleseminar event. You can listen to this recording by clicking on the icon below. In this teleseminar event, we discuss a little of my background, and then talk about my overshopping story and my year without clothes shopping. We then go on to discuss my journey back to a healthy relationship to shopping and the creation of My Year Without Clothes Shopping. This recording gives you a clear sense of who I am, where I’ve come from, my approach and style, and what qualifies me to create and lead a high calibre program like My Year Without Clothes Shopping. All delivered in that delightful Australian accent. Or download mp3 to listen later. I’ve been fortunate enough to share my story in many media stories in the last few years (roughly 50 stories at last count – all available on our Media page). What this tells me that shopping, and over-shopping and its reach, consequences and impacts, is interesting to people. It’s a topic that people are drawn to, that they are curious about. Over- and compulsive and constant shopping is not as well understood as other compulsive behaviours. Not yet. But I’m hoping that it will be. That the current curiosity about this topic will form the platform for a deeper conversation – a richer conversation. One that deepens our understanding and leads to inspired and empowering actions and changes that help people who are susceptible to over- and compulsive shopping behaviours. And this is one of my goals – to contribute to this conversation, about over-shopping and who it touches and how it affects them, in as many different ways as I can.